Shangri-La Hotel, Qaryat Al Beri, Abu Dhabi is the place to be this February with its range of exciting activities held to celebrate Chinese New Year. Abu Dhabi, 31 January 2018 – From a traditional Chinese New Year family reunion dinner with the customary rice cake to a live Lion Dance and an elaborate ‘Cai Qing’ opening ceremony, Shangri-La Hotel, Qaryat Al Beri, Abu Dhabi pulls out all the stops this year for an unforgettable start to the Year of the Dog. The five-star property plays host to a wide range of exciting events throughout February in celebration of its Asian heritage and the most important date in its events calendar, the Chinese New Year, celebrated globally on February 16, 2018. 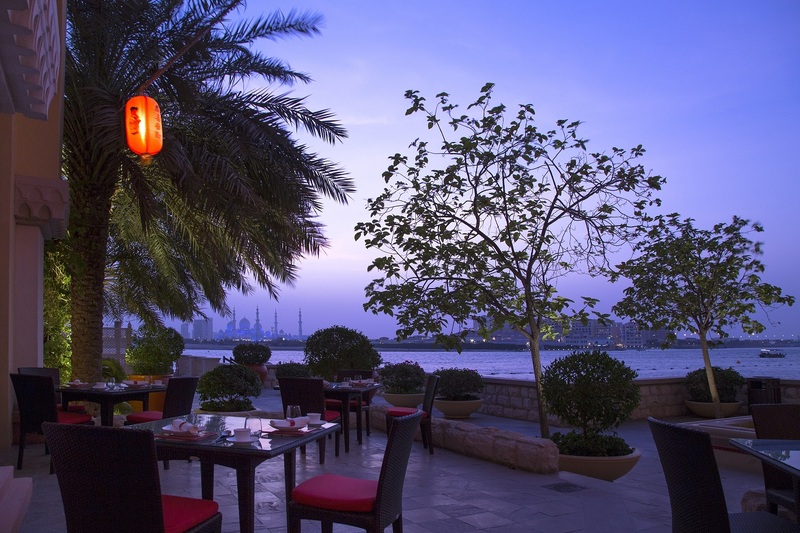 Shang Palace is the ideal destination to take in the authentic celebratory meals. From February 8th to 17th, the award-winning Chinese restaurant will serve the traditional Chinese New Year Family Reunion Dinner, with a spectacular five-course dinner menu served in the customary sharing style. The highlights of the meal are ‘yu sheng’ (Chinese New Year dumplings) and ‘nian gao’ (Chinese New Year rice cake). This exquisite dining experience, which includes favourites like Spring Festival soup and clay pot-cooked yellow range chicken, is priced at AED 590* for two, AED 1060* for four persons and AED 2,000* for a group of eight. On February 16th, guests can ring in the Year of the Dog by viewing a Lion Dance at 11am in the lobby at the traditional ‘Cai Qing’ opening ceremony and a themed-Friday Brunch at Sofra. With price packages starting from AED 285*, the brunch will feature authentic Chinese treats like the Ningao-8 treasure soup, steamed lobster, soy duck and sweet panda cupcakes. The 8-metre Yu-Sheng dragon dance performance is reason enough to reserve a table at this special brunch at Sofra. Red is the colour of determination, passion, desire and love, which is why it is chosen to decorate streets and walls in celebration of Chinese New Year. At the Lobby Lounge, the colour has been delicately infused into its popular afternoon tea menu which will be served from 2.30pm until 6pm daily between February 8th and 17th. Priced at AED 115*, the Rouge Afternoon Tea includes a variety of red-themed sweet and savoury dishes like cherry citrus blanc manger tartlet, raspberry ginger pavlova with rose mascarpone cream and strawberry orange coconut pearl. At AED 80*, guests can add a glass of bubbly to the experience. *All prices are in UAE Dirhams and are subject to a 10% service charge, 6% tourism fee, 4% municipality fee and 5% VAT fee.